The Nadhmi Auchi Foundation is today launching a website to provide regularly updated information about the business and philanthropic activities of its founder, Nadhmi Auchi, one of Britain’s most successful entrepreneurs. General Mediterranean Holding SA (GMH), the Luxembourg-based company which Mr Auchi founded in 1979, has investments in more than 30 countries and it employs 11,000 people worldwide. Success in business has provided a platform for a range of charitable and humanitarian projects and activities in more than a dozen countries. Among these is the London-based Anglo Arab Organisation whose aims are to encourage Arabs to play a greater role in the political and community lives of their host countries and to provide a bridge between the Arab world and the West. 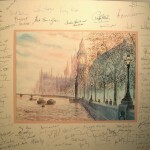 It also provides a channel for funds to charities and good causes in the United Kingdom. 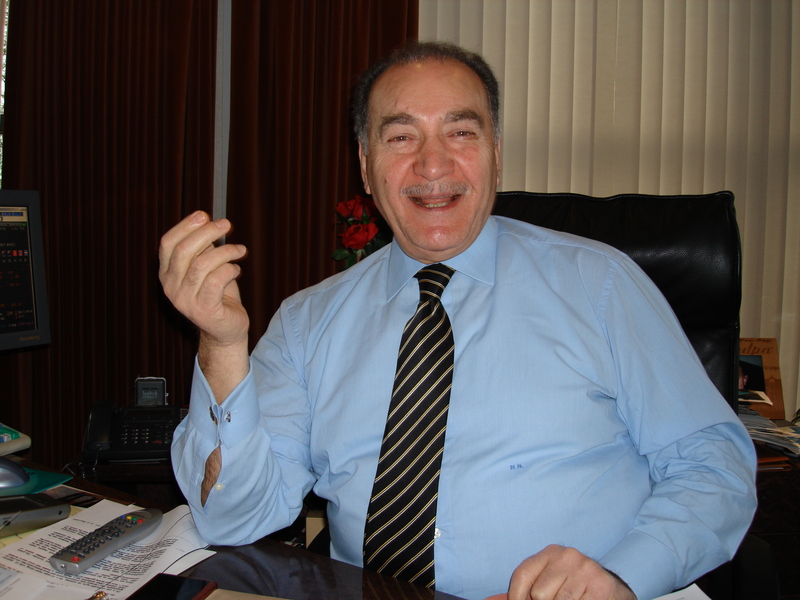 “When I started out in business in 1972, working from a small office in a side-street of Baghdad, I had just one employee. In those days word of mouth was not just the most effective means of communication, it was the only practical such means. “Effectiveness in today’s global market-place requires sophisticated methods of communication, both within companies and with the outside world. Media and public interest in my business activities have inevitably grown as has interest in the numerous non-profit organisations with which I am privileged to be associated. This entry was posted in News & Features on October 18, 2010 by admin. 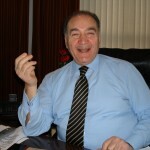 The best way to dispel misleading and negative images of the Arab world is through the encouragement of educational, professional and business excellence and by building bridges between Arabs living abroad and their host countries, said Nadhmi Auchi, President of the Anglo-Arab Organisation, at a speech he gave in London in October 2010. Mr Auchi spoke at a reception given in his honour by the American University in Cairo at the Copthorne Tara Hotel in Kensington in recognition of his role in creating the university’s “Nadhmi Auchi Young Leaders Fellowship Programme”. “The most effective way to achieve this is by encouraging the youth to build Arab pride, to strive for excellence in their fields and to inspire future generations thereby. Let our young people rise above social and cultural barriers. Encourage them to attain success through outstanding performance whether in sports, health, education, trade, industry, commerce or technology. This entry was posted in News & Features on October 14, 2010 by admin. Nadhmi Auchi is one of Britain’s most successful entrepreneurs as well as a major philanthropist whose work in promoting inter-faith dialogue has won wide international recognition. 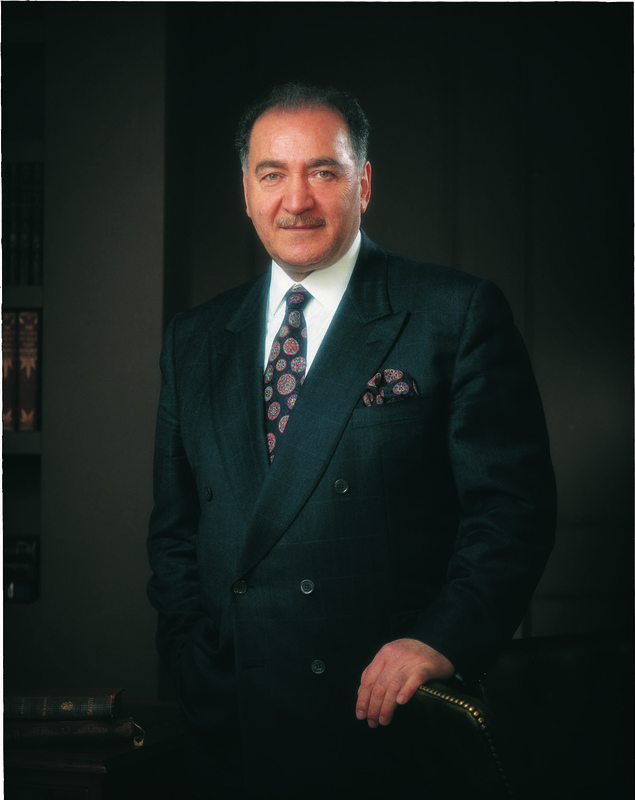 His career as an entrepreneur began in 1972 in Baghdad where his reputation as a dynamic business leader who could get things done stemmed from his completion of a government contract to provide a small and not especially profitable pipeline within a seemingly impossible deadline. In a remarkably short space of time he went on to establish a number of diverse enterprises ranging from contracting to electrical manufacturing. Today, General Mediterranean Holding SA (GMH), the Luxembourg-based business which he founded in 1979, has assets of more than $3 billion, with a corporate presence in over thirty countries and more than 11,000 employees worldwide. The activities of the group include banking investments, asset and commercial finance, construction and civil engineering, real estate investments and property management, hotel investments and management, leisure, pharmaceutical manufacturing, new media and broadcasting, pharmaceuticals and chemicals trading, retail pharmacies, sugar refining, power generation, marketing and international commodities trading. Currently GMH has ambitious plans to expand its ownership of hotels in the Middle East and to increase its investment in manufacturing and pharmaceuticals in Iraq and Egypt and in real estate in the United States. Nadhmi Auchi’s philanthropic work in promoting inter-faith and inter-ethnic dialogue and tolerance, supporting healthcare research and other humanitarian projects in the field of education has been recognized in Europe, North America and the Middle East. For the first time, Nadhmi Auchi tells his own story in an article on this website. In The Media: a reply to my critics, he describes in detail the problems and challenges he has encountered in his career and how he has dealt with them. This entry was posted in News & Features on July 14, 2010 by . For the first time one of Britain’s leading entrepreneurs replies to a series of bizarre and false allegations that have been made against him. I come from a part of the world that is not famed for its restraint or moderation. Having lived in Britain for 30 years, however, I have come to appreciate that the maintenance of a civilised order depends upon a particular way of behaving as well as upon adherence to certain principles. I have grown to admire British phlegm and to grasp that over-reaction in response to provocation is to be avoided. However, I have recently found myself in a situation in which a display of British restraint does not quite seem enough. To be precise, I find myself the target of a series of false media allegations of a grotesque kind, the most serious being that over decades I acted as the accomplice of a ruthless tyrant and mass murderer. In these circumstances, is it safe to assume that an honest presentation of the facts will ultimately persuade one’s accusers that they are mistaken? Should I respond with a display of nonchalance in the knowledge that nobody who knows me will take such lurid accusations seriously? Or should I send for my lawyer? I have, in fact, at different moments followed all of these approaches, although for reasons that will become apparent, I have increasingly tended to take the legal route. My tentative conclusions are that some journalists do not invariably accept your explanations, even when these are backed up by a solid truthful presentation of the facts, and they may indeed go on to repeat their allegations. A good lawyer – and I have been well served in this regard – can stem the flow of slanderous claims, and even win significant damages on your behalf. But even if you win every case, as I have, you cannot be sure of the extent of the harm that has been done to your reputation, not least because the same allegations are likely to surface later on any one of a thousand blogs on the internet, and perhaps in a still more extreme form. There is one other possible further response, which is for me to tell my own story, including the history of my problems with the media, in order to demonstrate where the truth lies, which is what I now propose to do. First, just in case you missed them, the accusations. These have come in different versions. 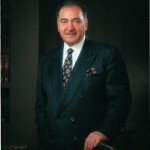 But at their heart is the claim that for decades I acted as the personal financial agent or “bagman” of Saddam Hussein. In one version espoused by some right-wing American blogs, it is said that I also acted as an important link in Iraq’s security apparatus, that I traded arms on Saddam’s behalf over decades, and that I am Saddam’s cousin. In another, it is said that I masterminded the “Oil-for-Food” scam. Just for good measure it has been alleged that after Saddam’s death I amassed additional millions by means of a highly ingenious but corrupt scheme to obtain lucrative contracts to build Iraq’s post-War cellular telephone system. As charge sheets go, it is one that could scarcely be more serious. If a fraction of what is alleged about me were true it would be remarkable if I could face myself in the mirror in the morning. To an extent, I remain unclear about the motives of those who have maligned me. It is clear, however, that accusations acquired greater credence as the result of an official US government report, although this was subsequently discredited and its author fired for making unsubstantiated claims about other matters. These included wholly unsubstantiated statements about the whereabouts of Saddam’s weapons of mass destruction. The official in question has also been accused of making false accusations against British and US officials and his conduct while in office has been the subject of inquiries by the FBI, of which more below. First, let me tell you my story. I am an Iraqi-born British citizen born to a professional family in Baghdad. 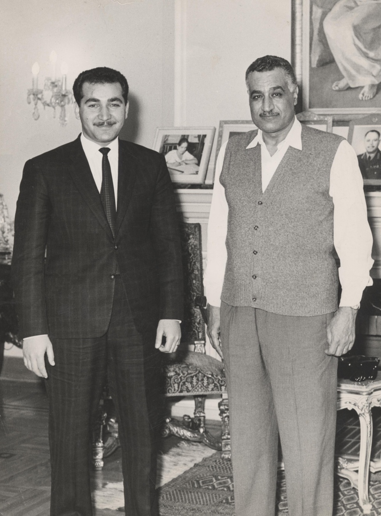 As a student at the University of Mustansiriyah in Baghdad I joined the Baathist party, attracted by its goals of Arab unity, an end to the last vestiges of colonialism and a fairer distribution of wealth. The party was then small and in its infancy and operated outside the law. As a young, idealistic but decidedly junior member, I helped to organise secret meetings, assisted in the publication of party literature and engaged in other clandestine activities. But not then nor subsequently did I meet Saddam Hussein, soon to become one of the Party’s most influential and ruthless leaders, then a rising star. Neither did I speak to him on the telephone, nor communicate with him in any other way during the brief period I remained a party member, or at any other time. No evidence has ever been produced to show otherwise; there is no photograph of us together nor official minute of a meeting at which we were both present, for the simple reason that our paths never crossed. In 1959 I was arrested in a round-up of Baathist critics of the Iraqi regime. I was convicted, along with 76 others including Saddam Hussein, following the failed assassination attempt on the life of Prime Minister Abdul Karim Qassim. My involvement had been a minor and peripheral one. As a committed junior activist, I had been asked to conceal a gun at my home. A few days before the plot the conspirators collected the weapon before launching their attack, presumably one of many they had stockpiled in different hideouts. I knew nothing of what was planned and did not personally handle any weapons, as I subsequently explained in court. However, I was handed a sentence of “three years’ rigorous imprisonment.” In the event, I served only two years but the sentence fully lived up to its description: I was severely beaten and tortured while in jail. The assassination attempt and Saddam’s subsequent escape on horseback, he was not jailed, to Syria later became part of the mythology of the Baathists’ rise to power. However, by 1962 I had become disillusioned with the Party, the principal reason being its abandonment of the goal of Arab unity in which I fervently believed. As a result, I helped form a new political group called the United Socialist Movement. This did not endear me to the Baathists: in 1969, a year after their successful coup, I was once again arrested and this time imprisoned without trial by the new Baathist regime. During this and a subsequent period of imprisonment I was again beaten and tortured. This alone gave me sufficient reason to dislike and distrust Baathist leadership and to hold it in deep contempt. But many years later, in 1986, I was given a still more powerful reason for doing so: my younger brother Naseer, a businessman with no record of political engagement, was hanged by Saddam’s executioners. My brother’s mistake had been to become involved in a power struggle between Saddam’s half brother Barzan Ibrham Al-Tikriti, the feared head of Iraq’s intelligence service and Saddam’s son-in-law, Hussein Kamel Hassan al-Majid. Naseer was caught in the cross-fire. He was rounded up with dozens of others and summarily executed. Barzan was hanged in February 2007 after an Iraqi court found him guilty of crimes against humanity. I had left Iraq six years before my brother’s killing, following a bruising encounter with one of Barzan’s enforcers whose job it was to extract a commission for Barzan on all government tenders valued above US$5 million. The encounter convinced me that I could not continue what promised to be an extremely successful business career without endangering my own life and that of my family. 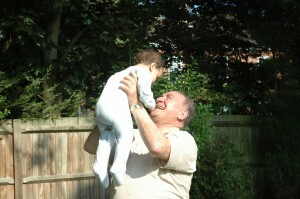 I settled with my family in London and I did not return to Iraq while Saddam remained in power. Since then my company, General Mediterranean Holding (GMH), which I set up in 1979, has expanded rapidly: it now counts assets valued at more than US$3 billion and has a corporate presence in over 30 countries with more than 11,000 employees worldwide. There is no mystery about the source of my wealth, for which fanciful explanations involving plots and murky conspiracies need not be invented: it is clearly stated in the annual accounts of GMH and those of CIPAF, its banking subsidiary, over more than a quarter of a century. My problems with the media began in February 2003 with an article in a British Sunday newspaper. This falsely alleged that I had refused to travel to France for questioning about the Elf-Aquitane corruption case which, following a lengthy trial, led to the imprisonment of the French company’s two top executives on charges of fraud. The truth is that I did not refuse to assist the French inquiry but offered to meet the French investigating judge in London or Luxembourg. When this proved not to be possible I attended the trial of my own volition1. The article also alleged that I had received a £10 million commission on an Italian-French bid to a build a pipeline for Saddam in 1986 and that the matter was the subject of an inquiry by Italian fraud investigators. I was never involved in such a deal, I am not aware of it or any official investigation by the Italian authorities, and if there was one they never contacted me. Two months later, on 2nd April an article in another British national newspaper referred to my having both “past links” and “close links” with Saddam Hussein, and alleged that I had been involved in the sale of Italian warships to the Iraqi regime in 1980 – the very same year that I left the country for good. The claim that I had purchased arms for the regime was to be repeated on numerous occasions, and has almost become a “fact” on the internet. The truth is that I have never bought or sold arms of any kind, and have little knowledge of the armaments industry. It is true that one of my companies provided consultancy services in relation to the financial structuring aspect of the sale of 11 frigates to Iraq in 1980. This took place at the start the Iran-Iraq war at which time the US and European governments sided with Iraq and strongly encouraged their arms manufacturers to provide it with arms. It is common for banks to underwrite deals for big-ticket defence equipment, but this does not, of course, make them arms traders any more than bank investments in artistic productions makes them actors or ballet dancers. This, however, is a distinction that a small number of my critics seem unwilling to acknowledge. Indeed the same lack of comprehension was evident in an article written just a few days later. This added some colourful extra touches to the story. According to this version, my career “began in the backstreets of Baghdad in a post-war world of coup plots, intrigue and murder.” In fact, I was born in to a respectable middle class family – my father was the chief accountant of the state airline – and I was brought up in the comfortable Baghdad suburb of Karadat Mariam. Following a brief stint as part-time clerk, my first job on leaving university was as a civil servant in the Iraqi oil ministry, and although I think it would have stuck in my mind, I do not recall the daily routine including much in the way of murder, plots or coups. The most excitement my colleagues and I could look forward to was an occasional spike in oil production figures or, with good fortune, a win by the departmental football team! Nevertheless, swept along by their sense of drama the investigative reporters responsible for this lurid account of my career went on to claim that I had built my “financial empire” by “peddling [my] influence with Saddam Hussein’s Baathist regime”. After mis-stating the circumstances of my arrest and imprisonment in 1959 they asserted that I used “money from military contracts in Iraq to establish a business and banking empire in Britain and Luxembourg.” Neither during the early stages of my business career in Iraq nor latterly have I entered into anything that could be described as “a military contract.” It is a measure of my influence with Saddam’s Baathist regime that I enjoyed the hospitality of an Iraqi jail for several months courtesy of Saddam and that my brother was callously and illegally slain by him. Later that same year, the subject of my relations with Saddam again attracted the attention of the British media. 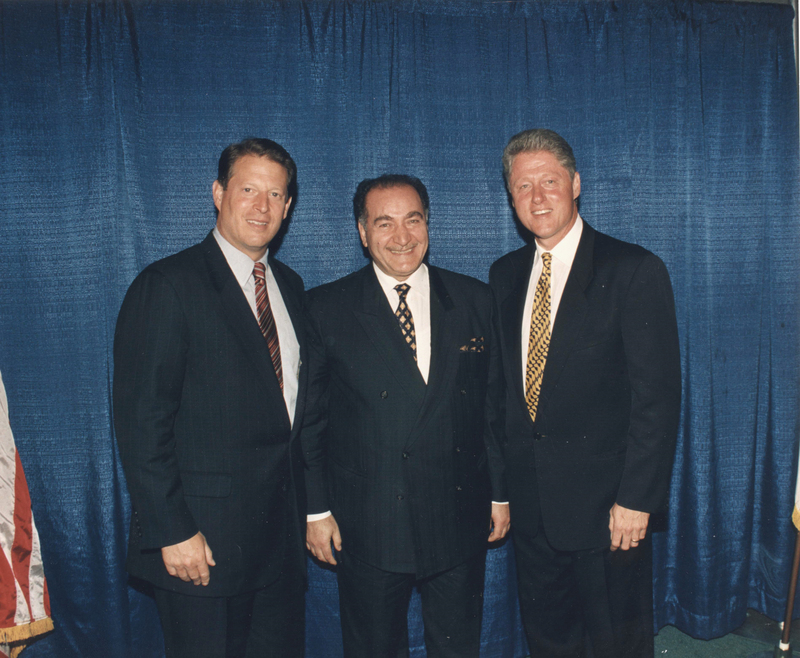 A national Sunday newspaper alleged that my involvement with him took place at a time when the Iraqi dictator was “acquiring his taste in blood.” Given my brother’s fate this allegation was as cruel and tasteless as it was untrue. For good measure, it asserted, again without evidence, that I held funds for Saddam and Colonel Gadaffi, the Libyan leader, citing an unnamed Belgian ambassador as its source. Neither I, nor the bank which my company has a share in, has ever held funds for either. The bank was managed by Paribas and I was not involved in the management. It was also stated that I had been the object of allegations of bribery in Italy. Again, there was no evidence to support the allegation, which happens to be untrue; if I have been the subject of investigations in Italy I am quite unaware of the fact. Neither is it true that as the result of my “close relations” with Saddam I acted as the international intermediary to secure the construction of a pipeline from Iraq to Saudi Arabia for a Franco-Italian consortium, as alleged. A further article in the same edition of the newspaper alleged that I had “brokered a number of deals with Saddam’s regime”, a claim which in the circumstances was seriously misleading. 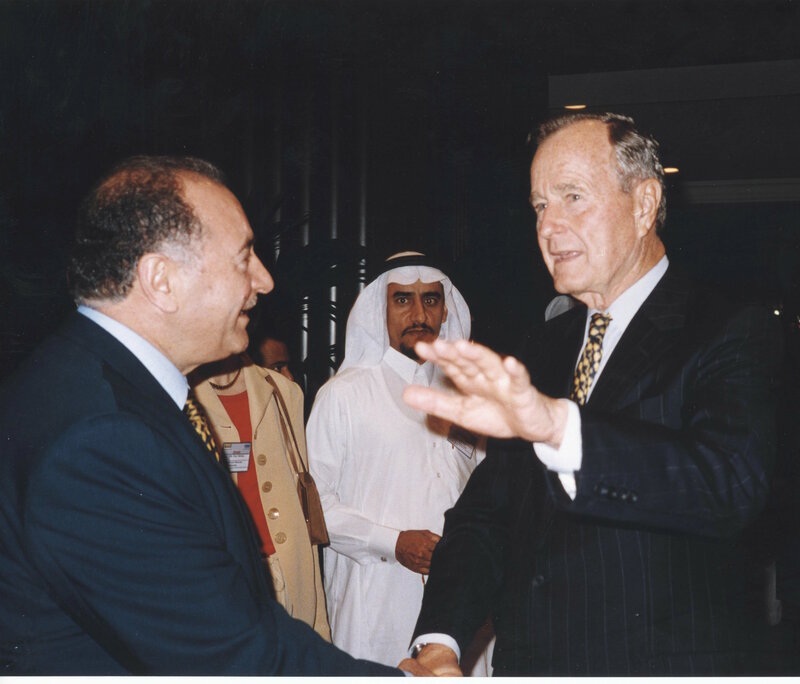 The fact is that I had continued to do business with companies and Iraqi government agencies after leaving Iraq during the period in which my native country was considered to be the friend of the West. 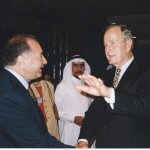 But I ceased doing business with Iraq when UN sanctions were imposed in August 1990 following the invasion of Kuwait and did not seek to resume my activities until after Saddam had fallen from power. By the end of 2003 I thought that I must have received all that was likely to be thrown at me by way of false allegations, misleading claims and the like. But I was seriously mistaken. A preliminary report from the Department of International Technology Security at the Pentagon, produced by John A. “Jack” Shaw, the Department’s Deputy Under Secretary, and published in May 2004, alleged that following the Iraq war I had paid bribes through a series of surrogates in order to obtain cellular phone licences from Iraq’s Coalition Provisional Authority (CPA), thereby gaining control of the country’s entire cellular phone system. Never before had I read an official report whose language was so racy or its allegations so colourful, but given that I emerge from it as one of the most dangerous and skilful figures in the history of international crime, this provided small consolation. “The effort to subvert and suborn the cellular telephone tender process in Iraq reflected world-class skills in corporate and financial manipulation: its audacity, its meticulous attention to carefully tailored political needs, its placement seemingly beyond any governing legal frameworks, and its scheduled disappearance in the train of the CPA on July 1, 2004 into three supervised Iraqi entities all reflect the hand of a master manipulator. To say that my reaction to reading these words was one of surprise would be a great understatement. What on earth could have moved Shaw to describe me in terms that would do full justice to a master villain in a James Bond thriller? Whatever the reason, I now found myself having to explain my role in the matters with which the US report was primarily concerned – the issue of licences to build a cellular phone system in post-conflict Iraq. The background to this, in brief, is that Saddam had considered mobile phones a threat to his rule and so outlawed the construction of a cell phone system. As a result, in 2003, Iraq, which had a population of 26 million, had no mobile phones. It was consequently one of the last untapped markets in the world. In the event, more than 30 consortia bid for the three licences. To the evident irritation of some US politicians, all of the three successful bids came from consortia that based their plans on GSM technology, the standard French-built platform which is used throughout the Middle East and Europe, instead of the rival US-built CDMA technology. One of the three successful bids came from Orascom, led by an Egyptian company, which won the contract for Baghdad and Central Iraq. My company owns a 2.5% stake in Orascom. But I have absolutely no stake or interest in the two other successful consortia. I had no prior knowledge of the bidding system and, as far as Orascom is concerned, I was and remain an indirect, passive investor with no management role. I am proud of what Orascom has achieved in difficult circumstances, but my only contribution to its operations has been that of minority investor. The claim that through an ingenious criminal ruse I had taken over and controlled the entire Iraqi cellphone system therefore came as big a surprise to those working for Orascom, to the two other successful consortia, and indeed to me. If the gulf between this fanciful account of my activities and the truth of these affairs yawns wide, that between reality and the report’s claims in relation to the Oil-for-Food scandal yawns still wider. According to the report, I arranged for “significant theft” from the UN Oil-for Food Programme to smuggle weapons and dual-use technology into Iraq in contravention of UN and other export control regimes. No evidence of the theft or indeed of the arms transaction that I am falsely accused of having arranged is presented. However, much is made of the fact that Saddam’s regime insisted on using BNP Paribas as the sole repository for the oil millions, and my alleged role in the bank’s affairs is greatly distorted. At that time, I did not own a single share in BNP. The truth of the matter – and it’s an easily verifiable fact – is that I had owned a minority stake in Paribas before it merged with BNP in 2000 to form France’s largest bank, after which I became an even smaller shareholder in the merged entity. The merger took placed no less than three years after the Oil-for –Food programme had been launched and at a time when I did not own a single share in BNP. So it would have been totally impossible for me to subvert the UN programme in the way alleged. On 20th February 2004, the Middle East Media Research Institute (MEMRI) published a highly authoritative analysis of how Saddam’s oil voucher system was used to serve Saddam’s political goals, together with what it described as a “complete list” of 270 individuals and organizations that were beneficiaries of the scheme, including those based in Britain. Neither I, nor any of my companies, is included in the list or figures in the description of how the scheme operated. Similarly, the official UN document, “Report on the Manipulation of the Oil-for-Food Programme”2, contains no reference to me or any company with which I am involved – a peculiar omission, if Shaw’s allegations are true. How, then do I explain what might easily appear to be a comprehensive attempt to damage my name? Am I the target of a conspiracy organised by some as yet undiscovered rival or enemy? Conspiracy theories are even more popular in the Middle East than in the US and Europe. But I frankly doubt there is any such conspiracy. I am at heart a trader and trade is mutually beneficial. I don’t believe that I have bitter personal enemies who wish to destroy me. The US report differs from the claims of my British detractors in a number of respects and, until recently, I was especially baffled about why I should been chosen as the focus of the author’s undeniably rich powers of invention. I am grateful to an American journalist, T. Christian Miller of the Los Angeles Times, for having enlightened me. In an article for his newspaper on 7th July 2004 and in a subsequent book3, Miller revealed that Shaw had been investigated by the FBI for using his inquiries as a way of winning contracts for his friends and business clients. When these, along with other US bidders, failed to win any of the three Iraqi cell phone licences, the official tried to steer a contract to create an emergency phone network, which was then desperately needed by Iraq’s emergency services, to a company whose board included a close friend and associate. It was his hope, according to Miller, that this service could be morphed into providing a more comprehensive cellular telephone system for the whole country. Miller describes how an ingenious and – under the circumstances – quite remarkable ruse to assist a bid to win the contract was devised. This sought to make use of US legislation designed to promote the business interests of Alaskan Indians, which permitted companies with Eskimos on their boards to escape the competitive bidding process. According to Miller, in late 2003 the official who dreamed up the plan introduced those backing the bid to the directors of NANA, an Alaskan company with whom a new consortium was formed with the aim of winning the contract to provide the Iraqi emergency phone network. How well Eskimos would have coped with the heat of the Iraqi desert we will never know. In December 2004 the US Inspector General’s Office released its own report which stated that no basis had been found for the allegations of corruption. The office referred part of the complaint to the British government for further investigation of two British CPA officials involved in the licensing process. The British authorities conducted an investigation and exonerated the individuals. According to Miller, the US Deputy Defense Secretary, Paul Wolfowitz, later wrote to the British ambassador clearing them of any wrongdoing. The British Embassy subsequently confirmed that no British officials were under investigation over the matter. The motivation of my critics in the British press – a handful of journalists with a strongly developed instinct to reveal conspiracy and intrigue even where none exists – is clearly very different from that of the official who wrote the Pentagon report. I have concluded that they actually believe what they write, but I am still shocked by their disregard for the facts and amazed by their unerring ability to make two and two equal five. An example of this occurred on April 18th 2010 when I found myself on the front page of a leading British tabloid newspaper as a result of inviting Nick Clegg, the leader of the Liberal Democratic party, to speak on the platform of the Anglo Arab Organisation (AAO). In shocked tones it revealed that an “investigation” by its reporters had showed that I “also had links with other key Liberal Democrats”. No investigation was necessary. If the newspaper had asked me about this I would have pleaded guilty to the charge and asked for numerous other offences to be taken into account. The simple truth is in the course of my business life and as president of the AAO I regularly meet heads of state, presidents and members of royal families. The chief purpose of the AAO is to encourage Arabs to play an active role in the public lives of their adopted countries and to foster inter-faith dialogue. Over the last 20 years I have been in regular contact with the leaderships of all three main political parties in this country, including Baroness Thatcher. 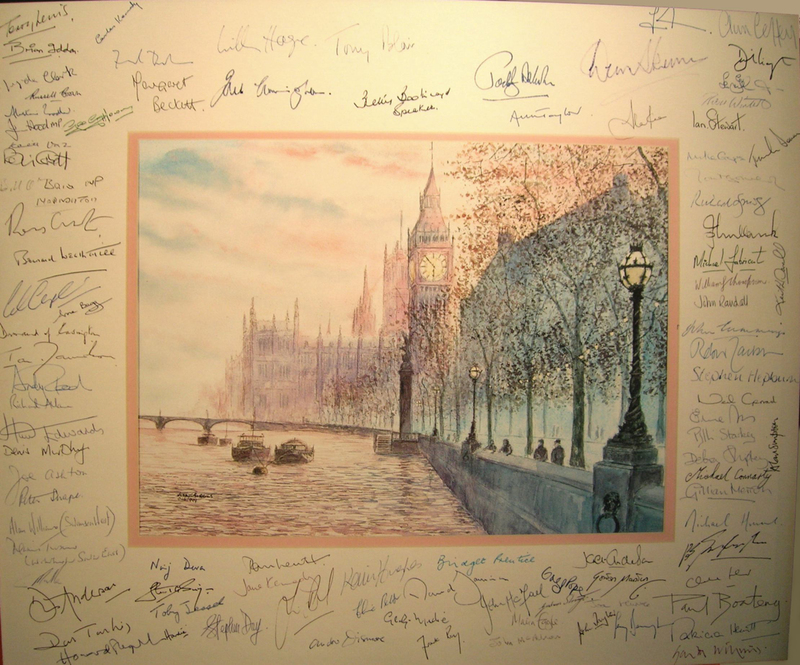 On the 20th anniversary of my company in 1999 I was proud and touched to receive a painting of the House of Commons signed by 130 senior politicians, including Tony Blair, William Hague and Charles Kennedy, then respective leaders of their political parties. I took this a clear indication of the value they attach to my work in promoting tolerance and understanding between Arabs and their host societies. The painting has pride of place in my office. I should point out that the AAO has no party political affiliations but includes representatives of all the British parties among its patrons. It has funded charitable causes in Lebanon, Iraq and Pakistan as well as in Great Britain. It has also played an influential behind-the-scenes role in organising the release of French, British and Italian hostages in Iraq. My work in this area was honoured in February 2006 I was guest at reception held at a Paris mosque to acknowledge my role in securing the release of French hostages after many months of captivity. In recognition of my work in promoting inter-church and inter-faith dialogue I have received two Papal awards4 as well as awards or decorations in recognition of my humanitarian, charitable and investment activities from Italy, Tunisia, Jordan, Brazil and the Lebanon. But none of this was of interest to the British tabloid, whose sole purpose in a highly misleading and politically motivated article was to damage Nick Clegg – then benefiting from a huge surge in popularity following the first of three televised general election debates between the party leaders – by referring to my appearance before a French court. Much of the tabloid’s material was rehashed by a British journalist, Martin Bright, who has a long-standing – some would say obsessive – interest in my affairs, in an article in the Jewish Chronicle on 22nd April 2010. Critical articles by him dealing with my affairs have now appeared in The Guardian, The Observer, The New Statesman and The Spectator as well as the Jewish Chronicle. In an article in The Spectator he revealed that one reason for quitting The New Statesman had been that he felt that the editor had not backed him sufficiently strongly when, after much provocation, I commenced legal action against him for libel. By that time Mr Bright had returned to my affairs so frequently that I was tempted to conclude that he was engaging in the literary equivalent of stalking. In his latest offering in the Jewish Chronicle he repeated the tabloid’s account of the AAO dinner as well as the claim that I had hosted a fund-raising dinner for Susan Kramer, the Lib-Dem candidate in the marginal seat of Richmond Park. Mr Bright also referred to my joint ownership of the news website Middle East Online (MEO) which, he alleged, was “one of the UK’s most strongly anti-Zionist websites”. He stated that MEO “promotes material by well-known anti-Zionists” and repeated a claim that I was seeking to “close down public debate” about my affairs. It is interesting to note that Stephen Pollard, the editor of the Jewish Chronicle, was recently forced to apologise for having described Islam Expo, an organisation which hosts exhibitions on a wide range of issues relating to Islam and the Muslims and which reflects a wide range of views, as a fascist and racist organisation dedicated to genocide. The article was posted on the Spectator website on 15thJuly 2008. Following an action for defamation, Mr Pollard and the Spectator agreed to pay damages and costs. Of course, Mr Bright ought by now to have learned the dangers of relying on secondary sources. The fact is that I did not host a fund-raiser for Susan Kramer: the event to which he referred was not organised by me but took the form of an invitation from the Arab community in Kingston, Surbiton and Richmond Park for local people to get to know their MPs – as those who attended this worthwhile event will confirm. Nor, in any sense, can MEO be described as “anti-Zionist”. I have no management or editorial role in MEO, but the fact of the matter is that those who run the website do not set out to promote or commission anti-Zionist articles or those of any other persuasion or bias; all of the stories on the site have appeared elsewhere and reflect a widely divergent range of views. Items from MEO have been carried by UPI and archived in the US Library of Congress. Among recent Jewish contributors have been Ayoob Kara, the Israeli Deputy Minister for Regional development, as Mr Bright could have discovered for himself. His article spawned a still more extreme and irresponsible offering in Tablet Magazine on 6th May 2010 which also dealt with the Clegg dinner and the supposed fund-raiser for Susan Kramer. This version alleged not only that the MEO was “notoriously anti-Israel” but also that it was “often anti-Semitic.” I am erroneously described by the author, whom I have never met, who has made no attempt to contact me and who provides no evidence for the claim, as “a major financial supporter of George Galloway, the British leftist politician who has made his name through his steadfast support for Saddam Hussein.” Equally to the point, the technique used here to link me indirectly to Saddam is more deftly employed than by the late Senator MacCarthy but it is still recognizable as that of inferring guilt by association. The irony is that those who mislead their readers appear also to have misled themselves. If I were truly the paymaster of an anti-Zionist propaganda outfit, as Mr Bright and Tablet Magazine allege, I frankly doubt whether I would have been successful in attracting distinguished Jewish people to the board of my companies. Nor would I be able to count a significant number of Jews among its workforce (I don’t know the number because it is not my practice to ask my colleagues about their religion). Some of these are long-standing personal friends. Nor, of course, have I sought to “close down public debate.” After much provocation I have tried merely to correct lies and falsehoods. I have also sought to prevent their repetition. The right to free speech is fundamental; I can assure Mr Bright that those who have lived in societies where it does not exist are capable of placing a value upon it at least equal to his own. But the right to reputation is also fundamental and citizens of the United Kingdom are entitled to protect theirs. In trying to make sense of the present situation I am struck by the fact that while my explanations of my conduct are treated with scant respect by my detractors, they have too often failed to question the assumptions underlying their own interpretations of events before rushing into print. Would any man, except a monster, devote himself to serving the interests of a dictator who had killed his brother? If am just such a monster, would I really have taken the obviously suicidal course of brokering a deal between the Kuwait Government and a French state-owned oil company which provided the Kuwaitis with hundreds of millions of dollars to arm themselves against Saddam? If I were really militantly anti Jewish let alone an anti-Semite, would I really have been honoured by two Popes for promoting inter-faith dialogue or been able to attract distinguished members of the Jewish community as associates and colleagues? Those who fail to put to themselves the difficult questions are destined to misunderstand even the simplest of situations. I am sometimes baffled by the treatment I have received from a small section of the British media. But I am inclined to think that once my British detractors had convinced themselves that I was Saddam’s best friend – despite the absence of any supporting evidence – they concluded that I must be capable of literally anything. They consequently took it for granted that it was unnecessary to apply the objectivity and fairness which one hopes they bring to other topics. Few, if any, are blessed with perfect judgement. But the journalists who have misrepresented my activities and motives would have better served their readers if they had taken at face value a simple truth that I have repeated ad finitum over the last decade. 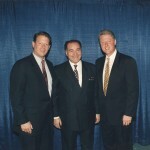 This is that, except in my worst nightmares, I never encountered Saddam Hussein, spoke to him or had dealings with him. Given the terrible fate of so many who did, for that, at least I can be grateful. 1. On 12th November 2003 in the 11th Chambre Correctionelle du Tribunal in Paris I received a 15-month suspended sentence and a EUR two million fine after being found guilty of being an accessory to fraud. The charge related to the purchase of a Spanish-owned Kuwaiti oil company on behalf of Elf. 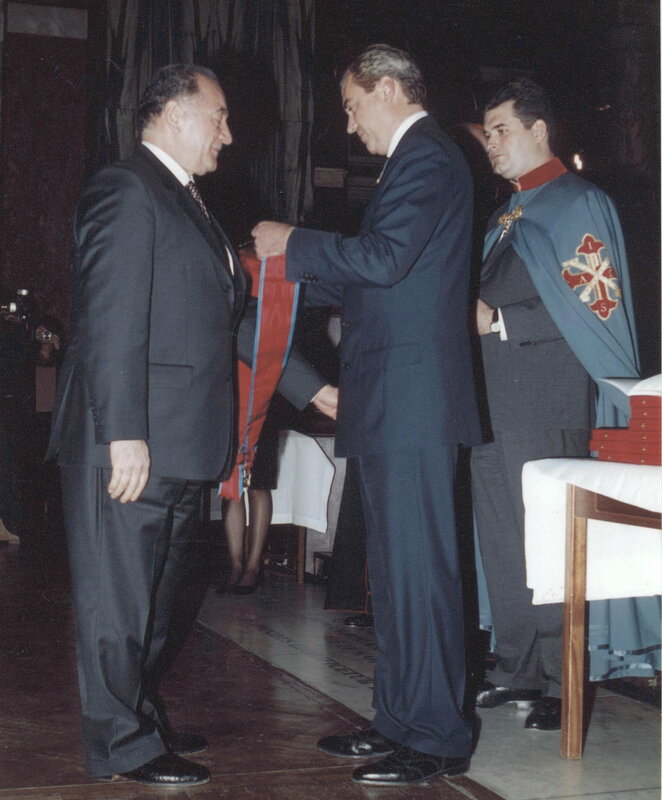 I have consistently denied all wrong doing, believing that at all times I was acting with the knowledge of the French state and in the French national interest – as evidenced by the fact that at a breakfast meeting at the Elyséee I received the personal thanks of President Mitterrand for my part in the transaction – one of the most profitable in Elf’s history. I am continuing to appeal against the conviction and remain confident of a successful outcome. 2. Report of the Independent Inquiry Committee into the Manipulation of the UN Food for Oil Programme under the chairmanship of Paul Volcker, published 27th October 2005. 3. T.Christian Miller, Blood Money: Wasted Billions, Lost Lives and Corporate Greed in Iraq, Little Brown and Company, New York 2006. 4. My long-standing work on behalf of inter-church and inter-faith dialogue was honoured in 2003 by the Roman Catholic Sacred Military Constantian Order through the award of the Grand Cross of the Royal Order of Francis I. A year later this received further recognition when I was knighted by Pope John Paul II. 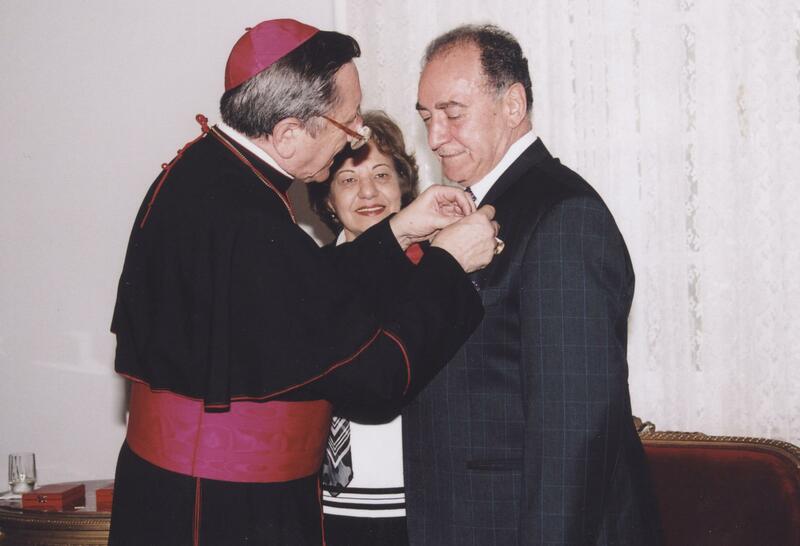 In 2007 I was awarded the Holy Cross Pro Ecclesia et Pontifice Medal from Pope Benedict XVI in recognition of my support for humanitarian and inter-faith understanding in former Yugoslavia. This entry was posted in News & Features on July 11, 2010 by admin.